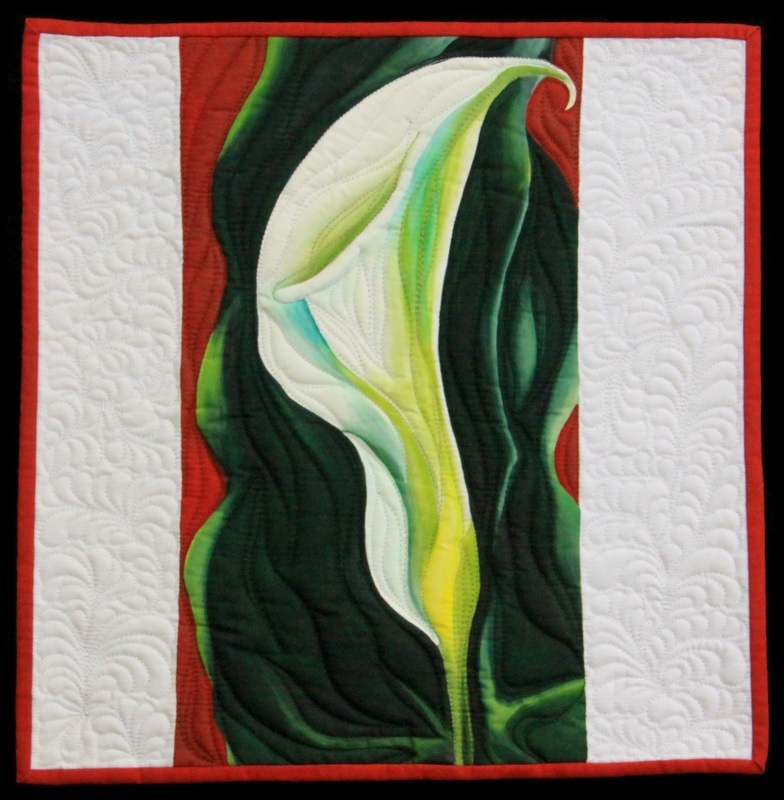 Georgia O’Keeffe’s Calla Lily on Red came to mind when Bobbie Benge of Wright, Wyoming received Virginia’s quilt. 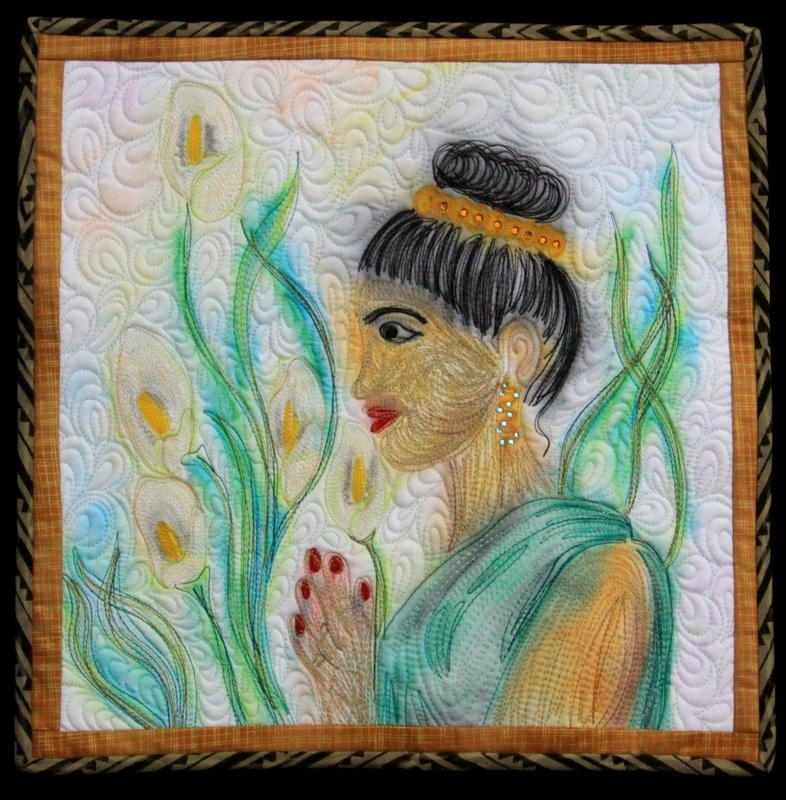 For her quilt, Bobbie focused on the beautiful calla lily held by the princess. 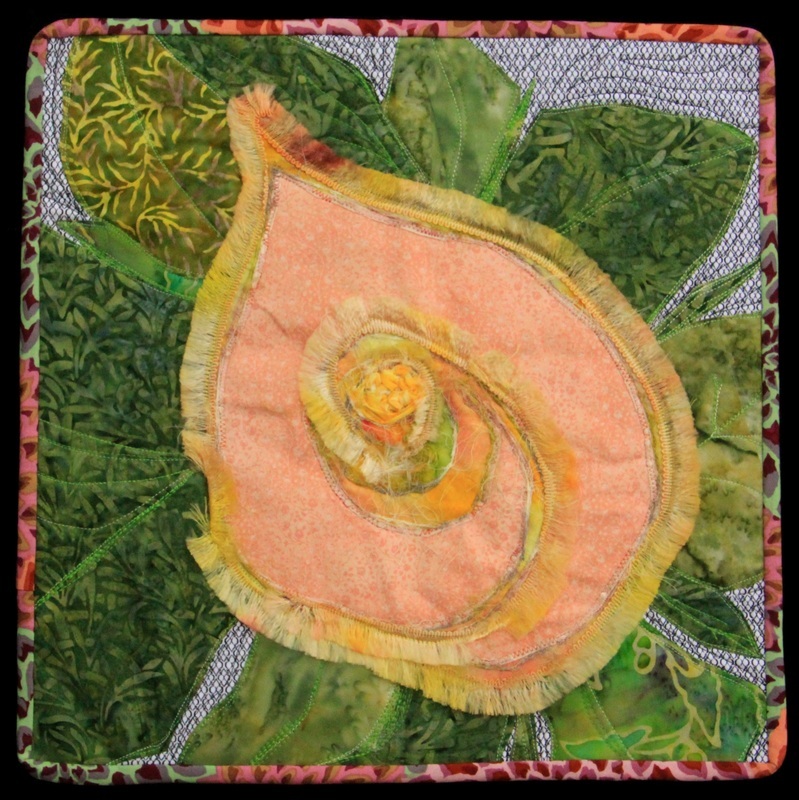 Kathy Mott of Sheridan, Wyoming looked down into the center of the flower and portrayed her idea of the magic within the flower. Pam Rapp of Sheridan, Wyoming prefers piecing her quilts. 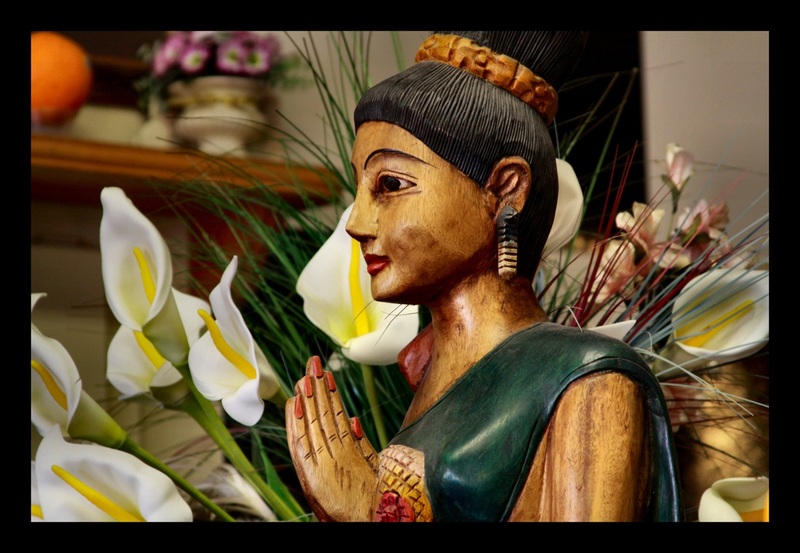 Her choice was to focus on one flower using her favorite technique. 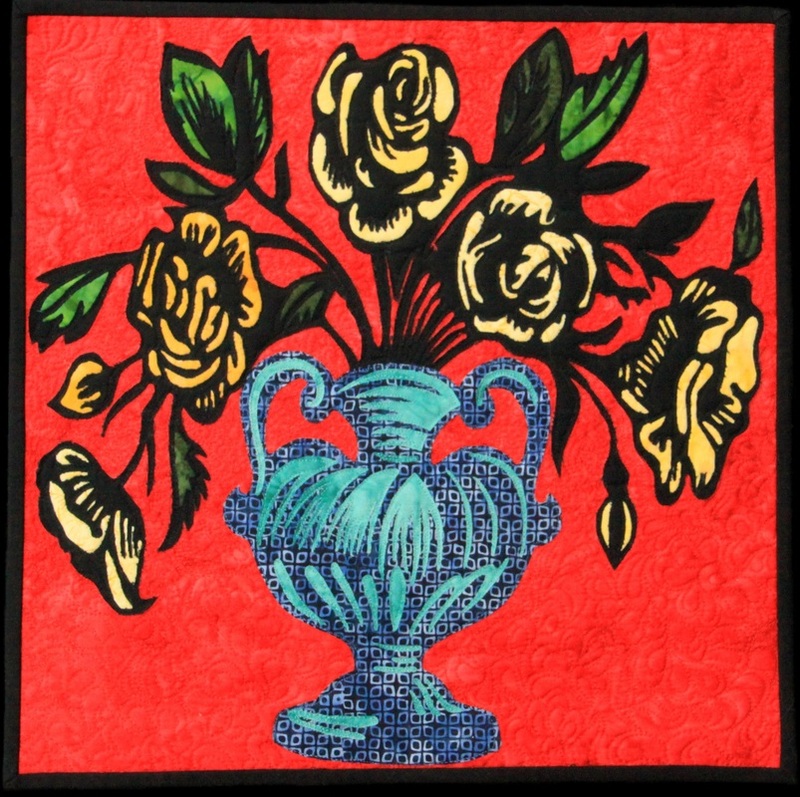 Flowers remained the constant in this group of quilts, but the style of flowers and the techniques varied greatly. Virginia Ohr of Buffalo, Wyoming was reminded of her recent trip to India when she received the photograph. She chose to create a very literal interpretation of the photo. 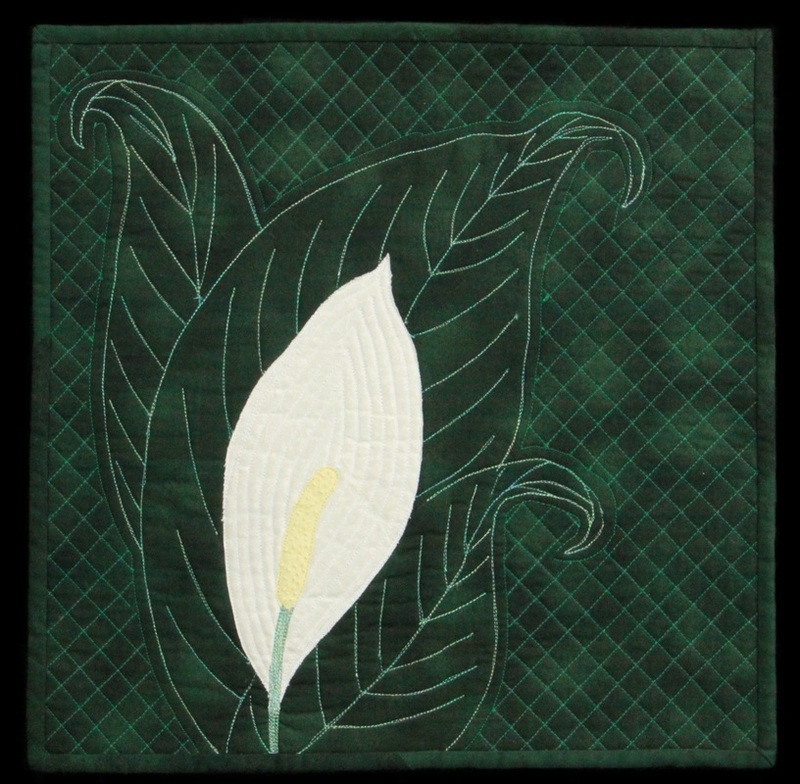 A different process was used for the lily designed by Mitzi Petitt of Gillette, Wyoming. She continued with the same subject but used a different technique and style. 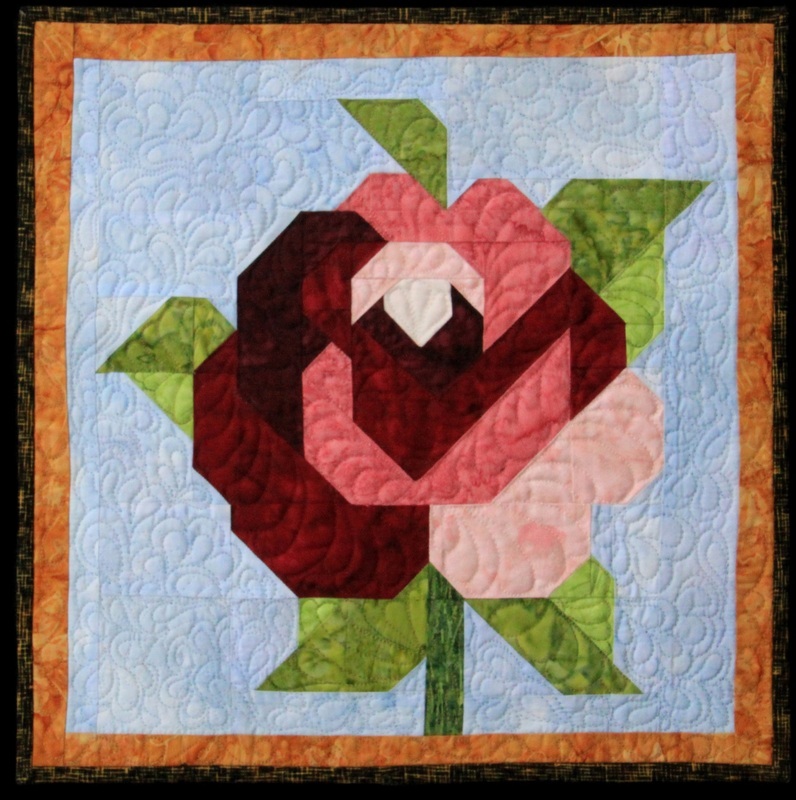 Megan Butler of Sheridan, Wyoming was inspired to create a bouquet of flowers when she received Kathy’s quilt.